While film prequels like Star Wars have brought on board several new fans, television series follow the trend and tap into the limitless world of back stories. From how an evil lawyer came to be to tracing the ancestors of the saviour of mankind, these shows will hopefully have you glued to the screens as much as their predecessors. Or shall we say successors? As the name suggests, Gotham (from the Batman series of the DC Comics) explores the stories of the people in the city. James Gordon (Ben McKenzie of The OC fame), a detective with the Gotham City Police Department, comes into town new and is made to partner and mentor Harvey Bullock. Telling the back stories of future Batman villians like Joker, Scarecrow, Riddler and Penguin, the show will also focus on how a young Bruce Wayne (David Mazouz) becomes the Batman with Alfred Pennyworth as guidance. Jada Pinkett-Smith plays Fish Mooney, in the first season consisting of 16 episodes. Yet to air in India, the show has already been signed on for a new season. Before Smallville or Man of Steel, there was Krypton. The TV series, helmed by Man of Steel creator David Goyer and written by Ian Goldberg of Flash Forward and Once Upon A Time fame, is to be set in the birth planet of Superman. It will focus on the years before the legend we know and how the House of El was shamed and ostracised. a�?The drama will follow the Man of Steela��s grandfather as he brings hope and equality to Krypton, turning a planet in disarray into one worthy of giving birth to the greatest superhero ever known,a�? a DC Comics and Warner Horizon Television representative says. The air date remains a mystery. After seven seasons on FX, Kurt Suttera��s Sons of Anarchy ended and fans were heartbroken. But at the San Diego Comic-Con, Sutter revealed plans to create a prequel series. The series will follow the days of the motorcycle club before the Sons of Anarchy story life began. Rumoured to be called First 9, Sutter is not sure if it will be a mini-series but says the digital world will aid his hopes. a�?Wea��re lucky because of digital media, we can establish new fans through iTunes, Netflix and Amazon. But my mandate is to make it like the novel, and people should think it was worth their time.a�? Expect to see Oppie, Clay, young Tara, baby Jackson and of course John Teller and the founding members of SAMCRO in their heydays. The Walking Dead executive producer Greg Nicotero is clearly excited about the upcoming season of Fear the Walking Dead. While carefully tip-toeing around the plot, he did reveal that the undead will have a more California vibe to them. He also said that this show a�?happens almost before The Walking Deada��. 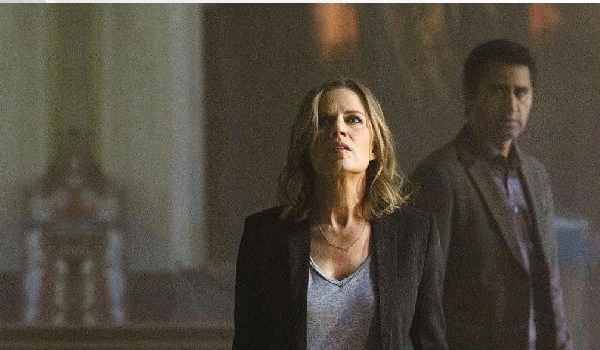 While not much else is known of the show, it will star Kim Dickens (Gone Girl, Sons of Anarchy), Cliff Curtis (Missing, Gang Related), Frank Dillane (Harry Potter and the Half-Blood Prince) and Alycia Debnam Carey (Into the Storm). Speaking about the show, Nocotero says, a�?The show is set in Los Angeles and at a completely different time, as walkers are beginning to take over the world. The idea, much like our show, is really about the relationships and about the families and how they handle it and deal with it. Ita��s fascinating.a�? The first season, consisting of six episodes, will premiere in late summer 2015, and the second season will air in 2016. Fans have been waiting to see the original, and vaguely successful, Heroes return to the screens. Thor fame, is also set to play a lead role. Already the most-watched new series in America, Better Call Saul works as a prequel to the recently concluded Breaking Bad. Before Saul Goodman, there was Jimmy McGill, played by Bob Odenkirk. A small-time attorney, it traces the seven years before the start of Breaking Bad, and how McGill eventually becomes the ruthless and immoral Goodman, taking on horrendous cases and defending the criminal, most times. While the show was always talked about on the set of Breaking Bad because of the potential of the character, Odenkirk too never thought it would materialise. a�?When Breaking Bad ended, I didna��t think it would happen, I didna��t once count on it. He (Vince Gilligan) asked me several times over the years a�?Do you think therea��s a show in this?a�� and I would say a�?If you write it, Ia��ll do it.a��a�?